If you’re about to invest in your first piece of real estate, one of the things that you should consider is what kind of house you would purchase. Is it going to be a spec home, or would you prefer to have something more customized? What exactly is the difference between the two? The most glaring difference between production or spec homes and custom homes is the approach in design. A production house applies a template design, commonly found in suburban homes. There is an element of uniformity to them, from the driveway all the way to the interiors. If you are in search of a property that would have the basics, and you don’t really want to fuss all too much with personalized features, then this is a good option for you. It’s already built and ready to move into. As for a custom house, it follows no other template but yours. As the homeowner, you must work in close coordination with the contractors in order to communicate your design plans and ideas. With their knowledge, skills, and expertise, they can then guide the design process to ensure quality in both aesthetics and functionality. Sure, choosing a custom home can mean more work since you will have more opportunity for input of its design. However, if you work with experienced and expert home builders, the process will go smoother than you probably expect. If you have seniors or individuals with special needs living with you, you can take their needs into consideration. A bedroom on the ground level, for example, could be convenient for senior residents because then they won’t need to climb stairs. This not only minimizes their physical exertion, but also mitigates the risks of an accident. Special features such as a sunroom, home theater, game room and more can also be included to cater to your family’s interests and needs. If you’ve been dreaming up the perfect house all this time, your best bet at turning it into reality is by getting it custom built. Put your creativity to good use and enjoy the privilege of having a blank canvass to draw up your dream home design. Professional contractors such as R & K Custom Homes can help you bring your design ideas to fruition. Turn your dream house into a reality. Get started by consulting with the pros for your design. 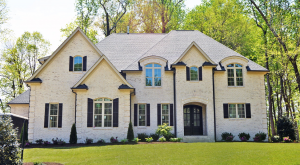 Call R & K Custom Homes at (336) 643-3503.